We offer a warm welcome in a relaxing atmosphere with a wide range of expert hair, beauty and spa treatments to choose from. In 2015 we launched as an exclusive AVEDA salon, the only one of it's kind in Barnstaple. Within our unique salon we have two beauty treatment rooms, a relax room, private shampoo area, nail bars and large split level salon & gents room, which is easily accessable by just a few steps. 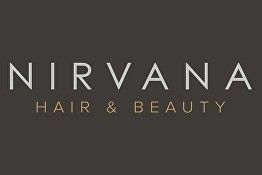 Here at Nirvana we only want the best for our customers which is why we choose natural hair and skin care ranges, who respect our environment and their products are made using only high grade naturally derived ingredients. All our hair stylists and beauty therapists are highly trained and professional and will offer you an individual service. We are the main approved GHD stockist in Barnstaple selling GHD Curling Wands, Tongs, Straighteners, Hairdryers and Brushes. We have now been in our new home on Boutport Street for a whole year! Time has really flown by, we absolutely love having so much more creative space and feel like we have been here for years already! We now have a more of a rustic, natural and industrial vibe complete with a larger hair salon, private hair washing basins with footrests , larger tranquil beauty roomsa alongwith changing room, shower and beautiful relax room for after treatments & group or couples pamper days plus so much more! We can't wait to show you around!